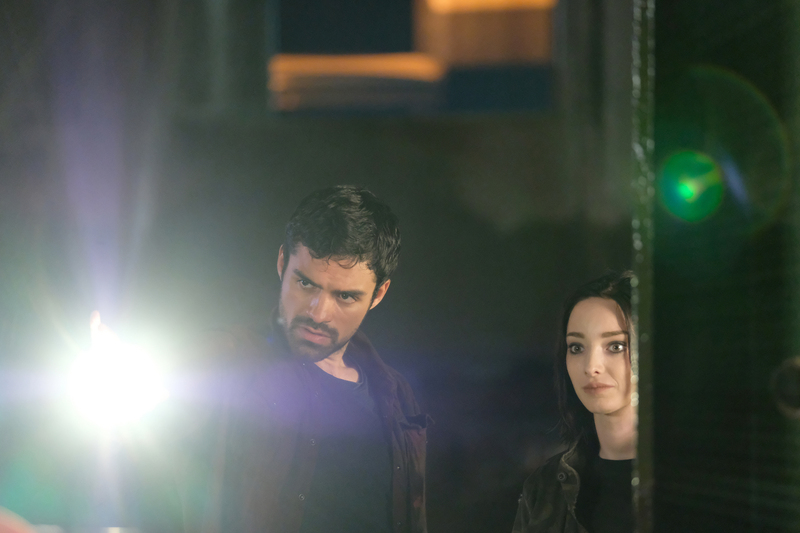 New preview images for The Gifted episode 1 "eXposed"
The photos seen below are untagged, though if you like what you see, be sure to spread the word about XMenTV! Thanks! We can be found on Twitter @XMenTV and also on Facebook. Cast: Stephen Moyer as Reed Strucker, Amy Acker as Caitlin Strucker, Sean Teale as Eclipse/Marcos Diaz, Jamie Chung as Blink/Clarice Fong aka Clarice Ferguson, Coby Bell as Jace Turner, Emma Dumont as Polaris/Lorna Dane, Blair Redford as Thunderbird/John Proudstar, Natalie Alyn Lind as Lauren Strucker, Percy Hynes White as Andy Strucker. Guest Cast: Ptolemy Slocum as Ted Laird, Joe Nenners as Agent Ed Weeks, Matthew Tompkins as D.A. Cal Jones, Steffan Argus as Jack, Dalton Gray as Jake, Pierce Foster Bailey as Trevor, Giovanni Devito as Dax, Toks Olagundoye as Carla, Jeff Daniel Phillips as Bartender.